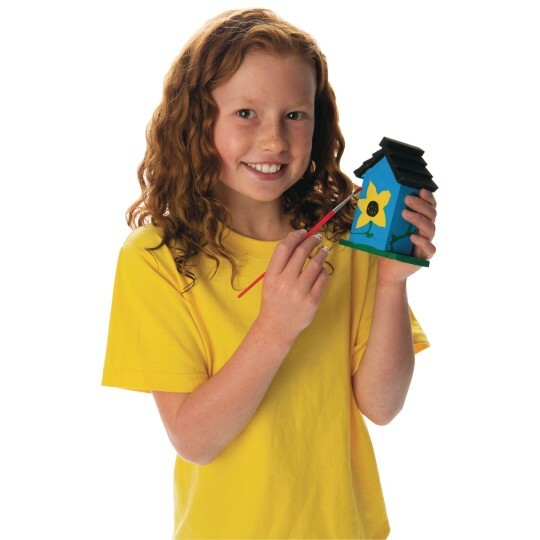 Perfect for your large groups, this artfully engaging craft contains enough materials to paint or watercolor stain 24 small, decorative birdhouses. 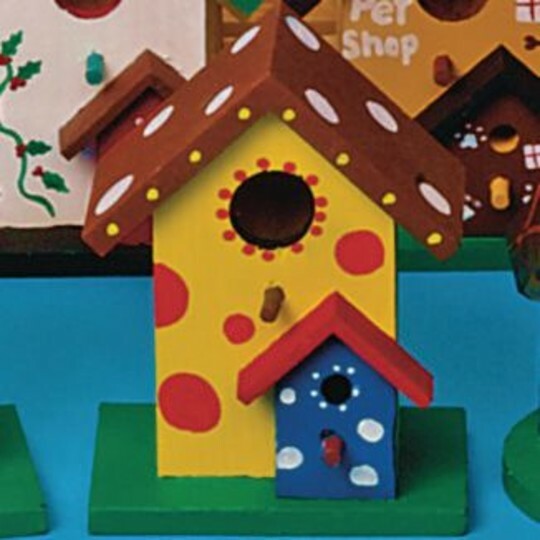 In a therapeutic setting, the skills used to complete the birdhouses cover a range of abilities, from low level to advanced. Makes a great gift, decoration or even an ornament. 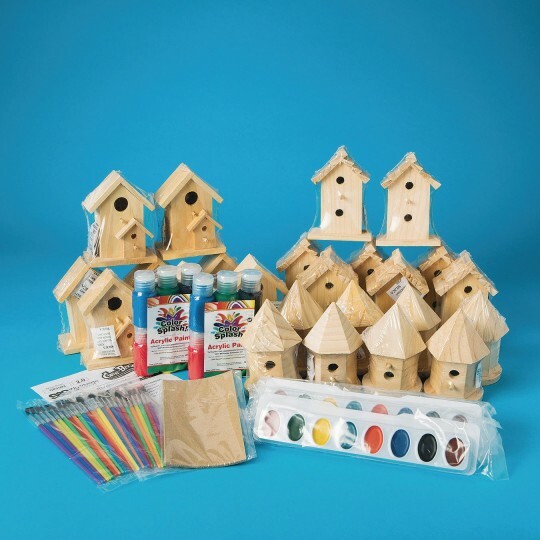 Includes wooden birdhouses (8 each of 3 different designs), sandpaper, non-toxic watercolor and acrylic paint, brushes and instructions. Size: 3" x 3" x 5". For ages 6 and up. Decorative use only, not intended for use with actual birds. Our residents really liked assembling and painting these great activity to do! Cute projects for longer activity time or a daily project. Nice project for group or 1:1 activity. A few men who were not interested in painting were happy to sand the bird houses did a very thorough job of it. 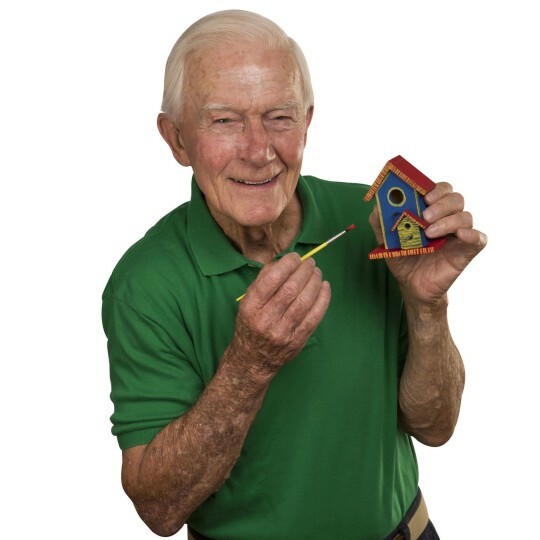 Others who may have had hand tremors and unable to hold a paint brush could select the paint colors have another person paint it for them then the next day select how to decorate their birdhouse stickers glitter glue etc.. Always a good project to do. 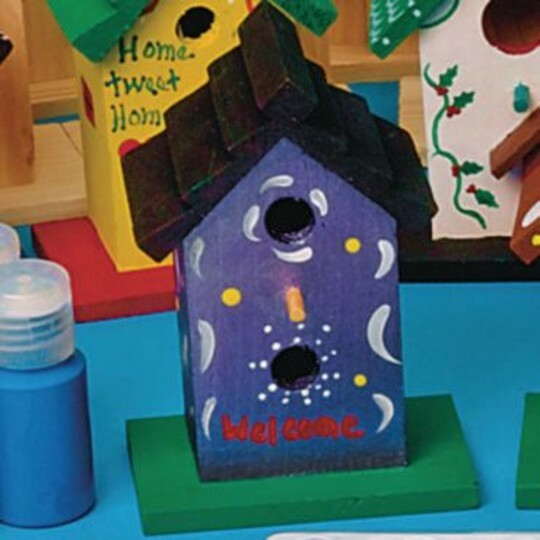 As part of bour teen craft programs these birdhouses are one option that the kids can choose. These birdhouses come fully assembled and in a variety of styles. Much better value and quality than is offered by other vendors.Acrylic paint and Sharpies work equally well with these.